For a better look, right click/copy to desktop/view..
Yeah. You've probably met at least half of these jerks in your travels. Usually they're a combo of two or more. 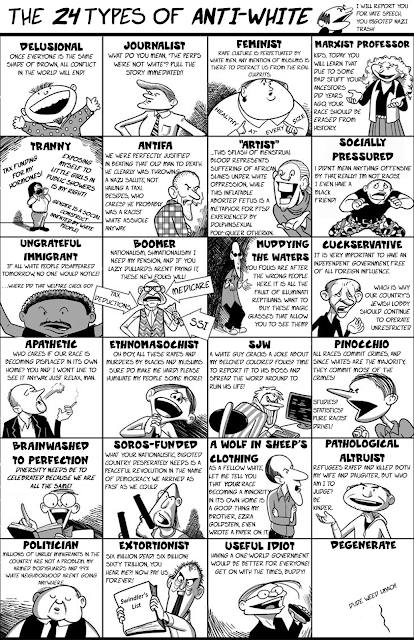 Sadly, a lot of so-called conservatives share many of these traits. Link to the Stormfront thread (Yeah ... THAT Stormfront!) where I got the above graphic here. Nazis! and KluKKers! and Trolls! ... Oh my! 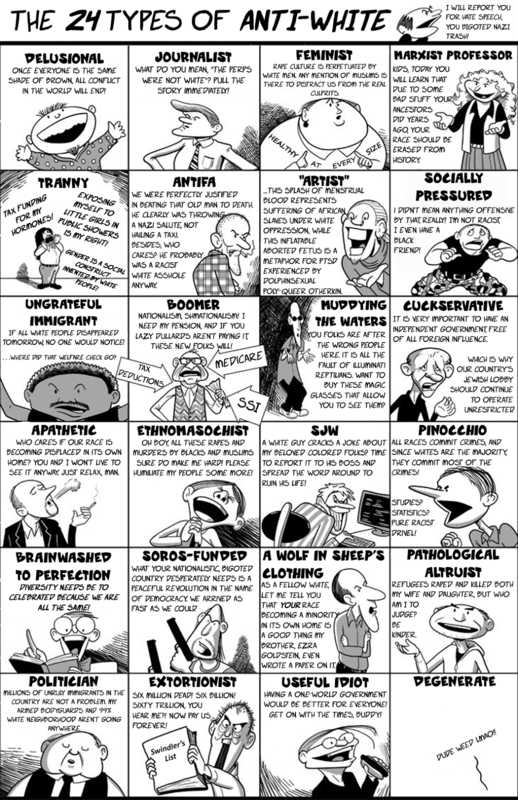 Link to original artwork, The 24 Types of Authoritarians here. As i remember, an original of this picture was in russian and it was about racism. The "original", at least to me, can be found in the reference link at the end of this article. And this is about racism. In spite of what apologists and other politically correct whiners say, you don't have to be white to be racist.